OC Inc. Posts in category: "Open Internet-Net Neutrality"
Posts in category: "Open Internet-Net Neutrality"
Celebrating a Net Neutrality Win! The UCC's media justice ministry, OC Inc., celebrates the historic 52-47 vote in the U.S. Senate to save our net neutrality protections. 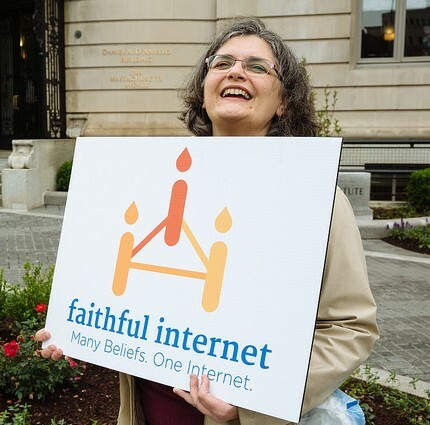 Cheryl Leanza OC Inc.'s policy advisor said, "Through our Faithful Internet campaign we have worked with people of all faiths and of moral conscience to speak out for our right to fair treatment on the Internet networks we use every day. We particularly welcome the amazing champions in the Senate and the Republican members who crossed party lines--Senators Collins, Murkowski and Kennedy--to make this a bipartisan vote." The next step for the campaign to protect Net Neutrality is a vote in the U.S. House of Representatives. Right now our Net Neutrality leaders in the house are pushing hard to get a vote there before the FCC's repeal of net neutrality protections takes effect on June 11. As Valarie Kaur, Faithful Internet's co-founder, said from the beginning "Every issue we care about and all facets of our life’s work require an open online space. We simply can’t talk about immigration or gun violence or anything else without it. Now it’s as though we are being asked to pay for the air we breathe." The momentum is with us, public opinion is with us, communities of faith and moral conscious are with us. When these things work together, we are united for change and nothing can stop us. Ms. Leanza urged all communities to speak out leading up to the House vote, "Not only are Net Neutrality protections critical for our political and civic activism, an open Internet is essential for core functions for all faith communities, like bringing elders to worship, fund raising, keeping the lights on, and more. Our U. S. Representatives must hear from all of us. The next step will be challenging, but Net Neutrality supporters are well-practiced at defying expectations because we work together with people across the U.S."
Just as I was gathering up my kids to get on the road for Thanksgiving, I heard the disappointing news. President Trump's communications regulator confirmed what we all feared, and released his draft order to eliminate open internet protections. He plans a repeal vote on December 14. "The ability to learn, to reason, to develop opinions and ideas, to develop plans for further action in concert with others—each of these is essential to the dignity of a human being and is impossible without the opportunity to both absorb existing knowledge and create new communications." We could not carry out our faith and ethical traditions without these protections. And we have the power to take action. Congress can slow down the FCC vote or even force it to abandon the vote altogether. Key lawmakers sympathetic to the cause are considering stepping in to do just that--a few have spoken out already. We need to get their attention so they will demand that the FCC Stop the Vote. 1. If you do one thing: Call Congress! If you can't imagine the world without the Internet as an outlet for your activism, join in protest. This Thursday, fellow net neutrality activists are hosting protests at Verizon stores and other locations around the country. 2. Sign up to join one of 700+ protests around the country on Thursday, December 7. And if you can come to Washington DC, join me on December 14 for a Voices for Internet Freedom Net Neutrality Wake Up Call Rally. Show up with a sign showing the faithful and ethical communities care about the internet. I'll be there with my Faithful Internet sign, and I hope you will join me. 3. 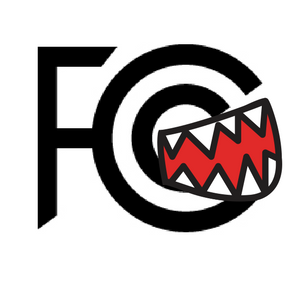 Sign up to rally outside the FCC in Washington, DC on December 14. It's not over after the vote. Our allies are standing by with court actions, and Congress can stop the FCC's decision. But they need to hear from us. P.S. we made a protest sign for you to bring along -- print this one out or make your own! Click on this image to download a printable pdf file! Some of the most influential people in my life are people I’ve never met — or met only once. I’m a white, cis-gendered, middle class, almost-50, married mother of two with a passion for justice and an ever-expanding appreciation of the beauty of God in the world and of the amazing people who have walked before me on a path of faith-inspired justice. I can do this work, in part, because I’ve listened, over and over again, to narratives and videos that bring tears to my face from folks who I visit on the Internet but whose stories I otherwise would have missed. I can learn about justice every day because people who would not be given the time of day by a media conglomerate can bear their souls, share their gifts, and invent new and more creative ways to speak to my heart on the Internet. Rev. Ashely Harness and Rev. Lawrence Richardson, both who publish at the Salt Collective— maybe we crossed paths once in person in Cleveland at the United Church of Christ headquarters. But from then on, I’ve been such a fan, following on Twitter and Facebook, taking in everything from tips on how to write an op-ed rooted in justice and faith, to cheering on Lawrence’s efforts to help care for his precious nephews. A glimpse of the divine in each of them — on the Internet. And my great Faithful Internet co-founder Valarie Kaur, who, drawing on her journey as a Sikh activist, made the most beautiful speech in New York this New Year’s, alongside Rev. William Barber. She told me and a few million others — over the Internet — that the darkness of right now is the darkness of the womb, not the darkness of the tomb. When times seem darkest, replaying that video can get you through. She’ll tell you that her new Revolutionary Love project would not be possible without the open Internet. All these stories are part of the work we do to build a more just world. The Internet is part of the basic building blocks of our work — just like the road outside the front door which takes us to a community meeting, spirit-lifting worship, or to our neighbor’s house to bring chicken soup in the dead of winter. I’ve been working in media justice for more than 20 years, and critical analysis of media has always come down to this (to mangle Marshall McLuhan): whoever owns the medium controls the message. Open Internet policies, protected by net neutrality, mean that whoever owns the medium cannot control the message. An ISP cannot charge more for video to flow without buffering — if it’s good enough for NBC, it’s good enough for all of us. Today, July 12, 2017, miraculously, not only a range of non-profits around the country are joining together to speak out for real Net Neutrality, but also huge corporations that probably could afford to pay for access. We’re all proclaiming the need to protect the fundamental structure of the Internet — which has been with us from the beginning, but is under threat today. The faith community understands the power of story. The Faithful Internet campaign is working to bring that voice to the policy-makers at the Federal Communications Commission who are threatening to turn the Internet over to network owners. You can join us on July 12 via our Thunderclap campaign, sign and share our petition, and visit FaithfulInternet.org where you can learn more and see testimonials from Rev. Otis Moss III, Linda Sarsour, Sister Simone Campbell and Rev. William Barber to name just a few.